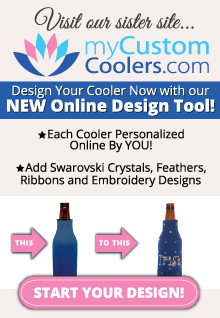 Are you looking for coolers that are different from the rest? A girly cooler, a fun cooler? 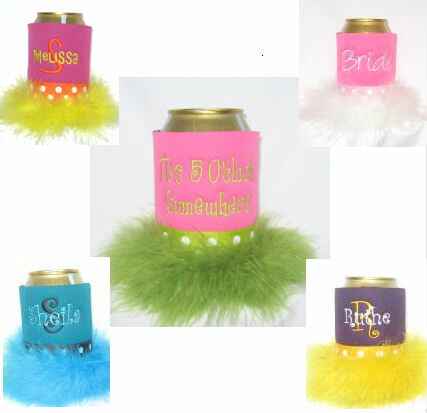 Well if you are, you must order one of our feather can coolers. Our coolers with feathers will definitely make you stand out in the crowd while making a statement that "You are a lady with class." One who doesn't mind taking risks! 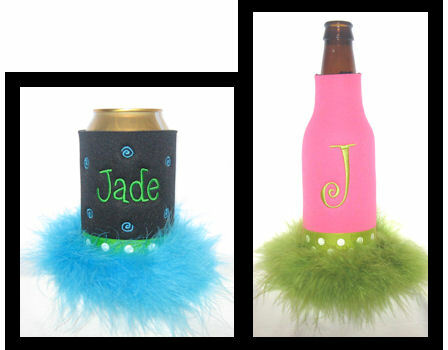 "Fun and Fabulous" is what our customers are calling our feather bottle and can coolers. 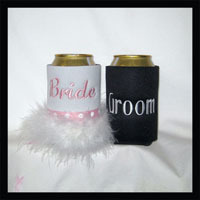 You choose your cooler color, marabou feather color and monogram for a cooler that is all yours!